Right from the start there’s a hint of a stripped back ELO, sans electric, if that makes any sense. Strong harmonies and understated guitars weave around a steady keys push. The title track is a solid introduction, and cleverly encapsulates the bands variety. That rock with a funk edge gives way to a Meatlovian (trademarked) piano chorus. Sunshine comes in a little darker, that same rock funk permeating throughout. This may be the most commercially applicable of the songs, there’s a distinct smell of Single to it. Stowaways loses that shoehorn mentality from below, and departs down a different road entirely. There’s a ghost of Hotel California in there, but not overbearing. The song carries a powerful quality that begs to be heard live; you can feel where the drums want to come crashing down in the chorus, where the guitar wants to roar across the word Stowaway. This is an arena anthem in disguise. End of the World (For Two) has an epilogue atmosphere to it. Kidd winds you down with a melodic dance, the you and we of the song taking on the air of a performer at the end of theatre rather than a lovestruck couple. It’s a clever rounding off for the EP. While Kidd carries the songs and lends a tender and diverse tone to his songs, there’s no sense of his voice stretching. I’d like to hear the vocal range and the songs built around it, freeing up the songs. Having said that, the music and voice is well molded, complimentary and hints at greater depths and highs. The constant harmonies have a Blue October feel to it, without the sharp dark edge, instead been used to smooth through pleasant, atmospheric, but adaptable songs. Overall there’s a sense of a horizon, which will hopefully be a full album. Fragile Creatures is a strong start. When they want to it turn it up to eleven, I’ll be listening. 1 How did you guys meet? I met Aaron and Tom at school. Tom and I were in a band together when I was 15 and he was 13 for 8 years then we didn’t see each other for 6! Aaron and I became good mates toward the end of school and stayed that way after – we were making music together and forming a group that became Fragile Creatures – Tom was our first recruit that stuck! We held auditions for drummers and they were all wrong. Then we found Crump – both of our girlfriends are in an improv comedy troupe called The Maydays so they set up a play date and James was amazing and he’s only gotten better since! The final piece of the puzzle was Mr Adam Whittles, who had played bass with some friends of ours in a band called Czar Creek – and he was born in the same town as me (Hull) so two Adam’s from Hull seemed too good to resist – he was pretty nifty on four strings too which helped! It’s our laziest act in a way – Fragile Creatures (the band) is named after Fragile Creatures (the song) and then we’ve called this EP ‘Fragile Creatures EP’ – it ends there though. We will name everything with it’s own name from now on – I promise. So the song came first. It’s about child birth and families and divorce. I’d read that when a crocodile is born it just slithers off on its own ready to hunt and kill to survive. Humans are different, we came out weak and the pain of childbirth weakens the mother too. We need each other to survive, we need to raise our young and teach them everything. It’s part of us. I suggested it as a band name and then David, our publisher who invested in us and developed the band, pointed out he’d suggested it two months earlier and we’ll all told him it was a rubbish idea. Band names are tough – I love it now – it seems so right, but it was a painful process deciding. 3 Is this EP indicative of a future album or a way of testing the water before writing new material? Actually this EP is more for clearing the decks to make way for the album. We released Dear Michael/She Makes Me Nervous in 2012 and End Of The World (For Two) was recorded inb those sessions. The other three tracks were recorded in France originally and then we-worked in Brighton through 2013. When Dave died last year we were almost ready to release this but we’ve had to wait for legal stuff to be worked out. As a result we’ve actually written and done 90% of the work on our follow up album. None of these songs will be on that record – we have recorded 12 more! It’s a really nice feeling to be ahead of ourselves for once – we’ve still got a lot of songs in-waiting for after that too. 4 Do you find the EP represents your variety of sound, or is more thematically singular, showcasing what you’re about? We’re diverse as a band – lots of musical influences go into the melting pot, so there’s a lot of different styles on display in the four tracks of the EP but I’d like to think we unify them with our voices and instrumentation. 5 Do you feel there is a difference between your influences and who your band sound similar too? We have been compared to a lot of 80’s bands I’d never really listened to in the past – people like 10CC, Prefab Sprout, Squeeze and Supertramp. That inevitably led to me exploring their music and some of that stuff is amazing. Those bands write catchy pop tunes but they do unusual things within them, which is something we aspire to do. We recently had a comment on soundcloud that said we sounded like Pink Floyd if they were a pop band, which is pretty cool. Influence is a funny thing though, I’m sure those bands were influenced by things I loved as a kid like The Beatles and The Kinks, some of their stuff will have gone in by osmosis too as I will have heard their hits on the radio or in Brighton’s eclectic indie clubs. I don’t think the stuff I write sounds directly like the artists I listened to most as a kid, like Blur, Radiohead and The Manics, but there will always be elements that work their way in to what we do. 6 Which song is currently your favourite, or do you feel is your strongest? My favourite is always the new one I’m working on! 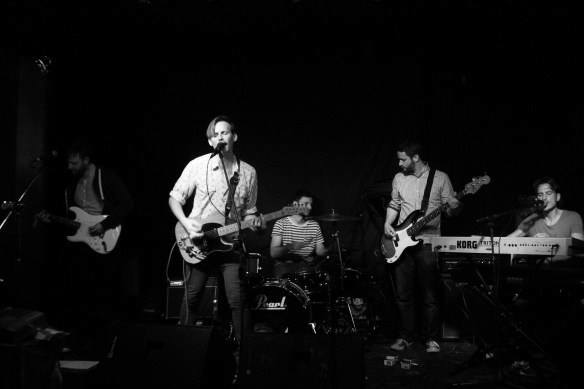 From the EP though I guess I’m falling in love with Stowaways again and I think there’s talk of releasing that as a single now as there was such an unexpectedly huge reaction when we shared it a couple of weeks back. I fell out with that track for a while as it’s been on a bit of a journey – it’s almost unrecognisable now from the original performance we recorded the drums to. We scrapped most of it and rebuilt it and changed bits of the arrangement as we did and even then we weren’t sure we’d got it right and soon I started finding it difficult to play live – ,my faith in the track was shook! The public have spoken though, it ended up in Soundcloud’s trending music for the indie rock genre. I listened to it again and suddenly thought to myself, ‘actually this is really good’! 7 As the principle songwriter, whats the process of bringing a new song to the band, in terms of input etc? At some point I was having a conversation with James and he told me he’d never been in a band where the song-writing was so tied down – I had gotten to the point of writing very detailed demo versions of the songs before taking them to the band. We’re moving away from that now and I’m glad, I’m becoming less of a control freak! Aaron and I co-wrote half of the songs for the follow-up album we’re working on and now we’re trying to get the songlets into the rehearsal room much earlier so everyone can have an input. When this EP was written the band learnt the songs from these detailed home demos (with terrible midi drums and awful keyboard playing), then we spent time playing them live and everyone was encouraged to develop their parts and add their own personality to the songs. A final stage of writing comes when you actually record the thing. Suddenly everyone gets to hear exactly what the others are playing so things subtly change and whacky ideas get tried out – I think Tom came up with that fantastic riff on the choruses of Fragile Creatures in a recording session and Aaron went through the keyboards on Sunshine three or four times before we found out what the track needed. 8 How close is the sound or idea in your head to the final product? I’m really, really pleased with how the EP sounds now and it’s a brilliant thing to have – it’s the perfect record of the early stages of the band coming together and finding our sound and identity. Fragile Creatures and Sunshine are pretty old songs so it’s nice to have them heading up the first EP and then Stowaways and End Of The World (For Two) were written really close together and written later, with the band in mind, so it’s lovely to have them paired up and show the journey in an almost linear way. Those last two are also tied together in their lyrical themes, in fact the EP works nicely as a narrative, it begins with childhood and ends at the end of days, with some coming of age preoccupations in the middle from the nightclubs of Sunshine to the politics behind Stowaways. I can’t say how close it is to my original vision as we weren’t sure what we were going to become when we started out! I suppose the sound of the band is a little more solid than the winsome early demos. It sounds like more of a serious proposition and I can’t wait to show people what’s coming next! 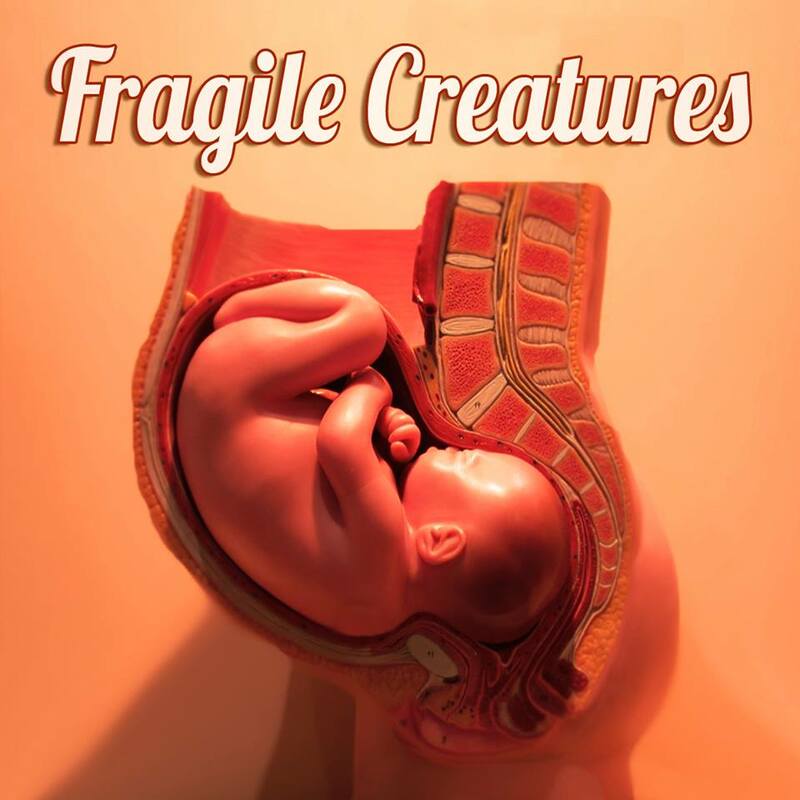 You can buy Fragile Creatures on [itunes link=”https://itunes.apple.com/gb/album/fragile-creatures-ep/id908787311?uo=4″ title=”Fragile Creatures EP”] or BandCamp.